What started out as a kind gesture landed 77-year-old Bob Fox at Margaret Mary’s Rehab Center for five weeks of physical therapy. 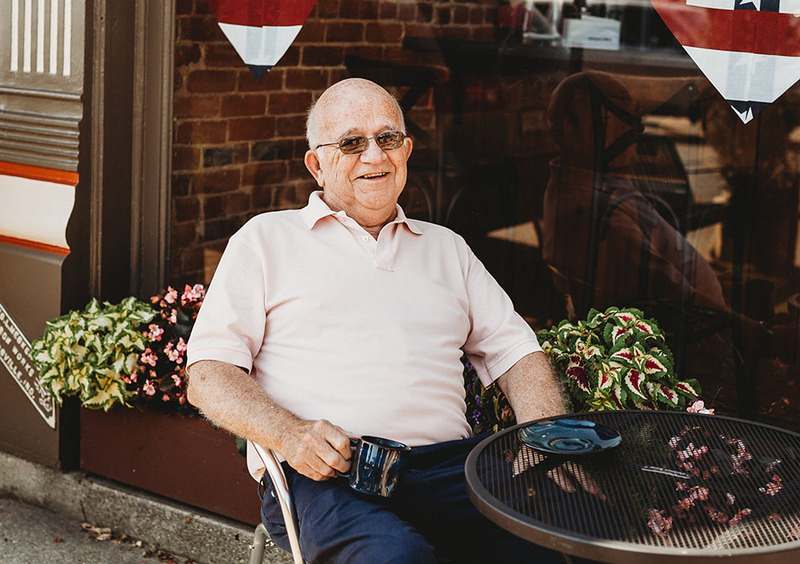 Earlier this summer, the Versailles resident was taking his wife a cup of coffee when he tripped and landed on his left arm. After a visit to Margaret Mary’s emergency department, he soon scheduled an appointment with Orthopaedic Surgeon Nicholas Mirkopoulos, MD to have his shoulder evaluated and learn about his treatment options. On July 13, Bob officially graduated from his therapy program. To celebrate his progress, he stopped at the local coffee shop to kick back and enjoy a cup of coffee!